can RRSP's be rolled over tax free into your spouses name. If it is allowable, does it need to occur prior to a divorce being granted or after. question: I was a Canadian working in the US under a TN Visa. I purchased property in the US and would like to know if I am eligible to deduct the mortgage interest from my American mortgage from my American income. You'll enjoy this wonderful insight into what it was like to live around the football greats of the CFL, NFL and even the XFL as they moved from Vancouver to Dallas, Phoenix, Philadelphia, Miami, Las Vegas and then back here to BC. Some of the stories have not been told before. Wednesday July 15, 2009, my first Guest was Kay Ackles, widow of Bobby Ackles, who passed away in July 2008. She was the lady behind the man. The one who did the entertaining and kept things going when he was up to his neck. 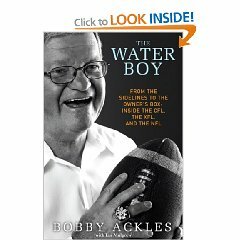 Bobby, of course, was the General Manager of the BC Lions and former General manager of the XFL's Las Vegas Outlaws before returning to Vancouver and the BC Lions as General Manager, a team for which he had started as the Water Boy (also the title of his book with Ian Mulgrew). In between, Bobby worked with the Dallas Cowboys, Philadelphia Eagles, Miami Dolphins, and Phoenix Cardinals in the NFL. Kay's story as the wife who did all the entertaining, etc., is fascinating. Their son, Scott Ackles is now the President of the Calgary Stampeders. question: I have been working/living in the US for past 5 years and for all the previous tax years (2004-2007) I was considered as a factual resident based on the fact that I owned a Condominium and my intention to return. For tax year 2008, I intended to maintain my factual residency by returning to Canada as the job situation was turning uncertain. However following events took place -- I sold my property in February 2008, Got a new job, and got married to Indian citizen who lives with me in the US. Based on the definition it appears that somewhere in 2008 I lost my ˜significant residential ties™ and am a non resident. Now the question: what are the tax implication for the property which I sold early in 2008. The property was vacant for entire 2007 and rented 2005 and 2006 (I reported the rental income). Do You Have to Pay Income Tax on Selling a House - tax free in Canada if personal residence - up to $250,000 tax free in the US. Do you have to pay income tax on selling a house? Would you consider giving me a hand or at least some advice based on your experience? Would you consider giving me a couple pointers? I had a question about Canadian paid maternity benefits. I am a Canadian Government worker who lives in the US and commutes daily. Right now my income is not taxable in the US under section XIX of the tax treaty. My question is, would the maternity benefits that I would receive from Service Canada and the top up that my employer contributes be taxable in the US? Also I had a question about IRAs. I have read about IRAs becoming taxable once someone moves back to the Canada, but I am assuming it would immediately taxable in my case as I continue to pay taxes to Canada because of my employment? Dear David,  please tell me/us whether Canadians who temporarily work in the USA paying all taxes properly are eligible to receive Canadian EI in case their work in the USA got terminated? I am hoping you can answer a tax question for me. I am a US citizen with my primary residence in Florida. I bought a condo in Montreal 6 years ago and would like to sell it now. I have been renting the condo on and off for the past six years with short vacation stays there myself in between. I have been reporting my income and expenses on a schedule E 1040 US tax form - always as a slight loss over the past six years. I have never reported any income or loss with the the Canadian IRS as my accountant said that was fine as long as I didn't have a surplus income from renting the property. My question is am I just liable for the capital gain in the US or do I also have to pay capital gains in Canada when I sell the property and if so, how would I calculate the amount? I appreciate any advice you could give to minimize the tax liability in this situation.